We sell at the Alameda Flea market in the San Francisco bay area. It’s a diverse a wonderful mix of antiques and thrift that attracts a wide ranging clientele. Our Club Chairs are always a huge attraction. William vigilantly shares and protects his chairs and invites one and all to try them out. Often our customers have coveted them for years or thought they might find a better deal elsewhere. More than often clients circle back around knowing with us they are dealing with professionals that know and love their main product. We are proud to have filled this small niche with an increasingly rare and wonderful piece of history embodied in rich, comfortable, handsome, inviting leather. William’s Antiks road show, displaying our signature style of French treasures. 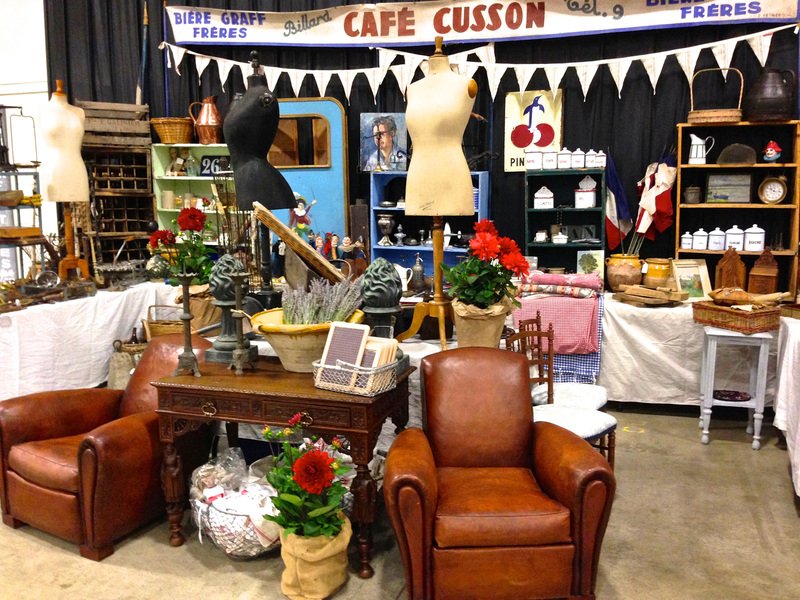 Come see us at the best outdoor antiques fair in Northern California... over 800 dealers!